A slender line of shimmering stones adorn this V-shaped PANDORA Rose ring, bringing glamour to its graphic design. Wear this wishbone piece alone or stack it with similar styles in contrasting textures. Ships tomorrow if ordered in the next 22 hours and 43 minutes! * PANDORA offers European even number ring sizing. 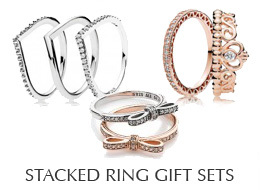 If your finger measures between ring sizes we recommend selecting the next larger size.